Celtic secured a thrilling 2-1 win over RB Leipzig on Thursday which kept their Europa League hopes alive, and there were plenty of talking points to take away from the clash. Kieran Tierney gave them the lead with a smart finish before Jean-Kevin Augustin looked to have rescued a point for the visitors, but the Hoops went down the other end and Odsonne Edouard slotted home to give them a brilliant win. 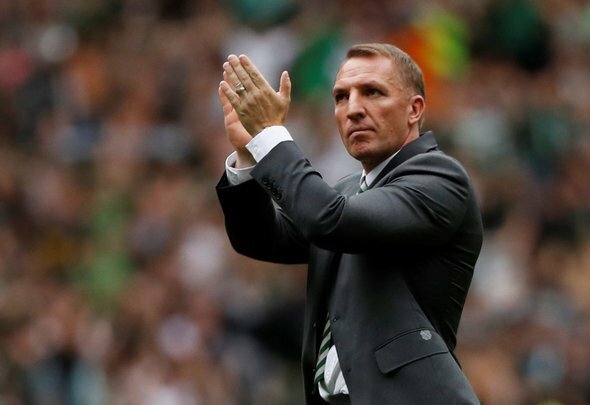 This is Futbol have picked out three things we learned about Celtic v RB Leipzig below. If you were to ask Celtic fans who their best player has been so far this season, the likelihood is that many will say James Forrest. The Scotland international winger is in some of the best form of his life right now, and that was no different against Leipzig. The 27-year-old flyer was a threat all day for the Hoops, troubling the Leipzig defence on multiple occasions with his direct running and pace. His final ball was also spot on for Tierney’s opener, and he ran hard in the second half trying to secure another breakthrough. Forrest, who stands at 5ft 9in [Transfermarkt] is well on the way to having a career-defining season if he continues this kind of form. Defence has been a bit of an issue for Brendan Rodgers at points this season and over the past few years, but he looks to have unearthed a seriously solid partnership in Dedryck Boyata and Filip Benkovic. Boyata has been Celtic’s best defender for a couple of seasons but his performances have lifted further in recent weeks with the introduction of Benkovic to the back line. Those two players are beginning to form a quality partnership together, and are likely to remain Rodgers’ first-choice for the rest of the season. The big worry for the club however is that Benkovic is likely to return to parent club Leicester in the summer while Boyata is out of contract and looking unlikely to renew. Celtic must pull out the stops to ensure Leicester do not activate Benkovic’s recall clause in January. Chief executive Peter Lawwell should be desperate to hang on to the brilliant youngster. This isn’t exactly something we only just learned, but veteran right-back Mikael Lustig is now a liability for the Hoops. The Sweden international actually looked rather solid to start with but his performance was littered with inexplicable decisions that could have cost Celtic dearly. It was also his fault that Leipzig were able to pull one back, with the 31-year-old losing his man at the back post before proceeding to blame Boyata. A new right-back must be a priority for Rodgers soon or the Hoops will no doubt lose points due to Lustig’s incompetence.